The state will prosecute an area priest charged with giving drugs to inmates in a Wiscasset jail, according to a drug prosecutor. Assistant Attorney General Lisa Bogue said her office will handle the case of the Rev. Stephen Foote, 70, of Bremen, who was charged Nov. 1 with one count of trafficking in prison contraband, according to the Lincoln County Sheriff’s Office. The incident also involves two inmates at Two Bridges Regional Jail — Joshua Theriault-Patten, 25, of Bremen and Adam Shawley, 27, of Newport — both charged with attempted trafficking in prison contraband. Lt. Michael Murphy of the sheriff’s office has said Foote and the inmates are charged based on one confirmed incident, but investigators and jail administrators believe Foote gave drugs to inmantes in the past and the inmates were using suboxone at times while incarcerated. Bogue said the decision to handle the case was finalized Friday, complicated in part by the lead investigator, Lincoln County Sheriff’s Detective Ronald Rollins, also being assigned to the Maine Drug Enforcement Agency. But she said her office typically handles cases in which people outside of jails and prisons are accused of getting drugs to inmates. She said the county’s district attorney would handle the case if it only involved the inmates. Bogue declined to discuss details of the case. The inmates have histories of drug-related offenses, and Murphy has said Foote admitted wrongdoing but thought he was helping Theriault-Patten, who he had a friendship with. Foote’s Newcastle attorney, William Avantaggio, would not say much publicly about case details. “I can say that there’s more to this than just the charge,” Avantaggio said Friday. An employee at Lincoln County Superior Court said a police affidavit of the case against Foote remains unavailable. The employee said Foote will make his first court appearance in Wiscasset on Thursday, Nov. 29. 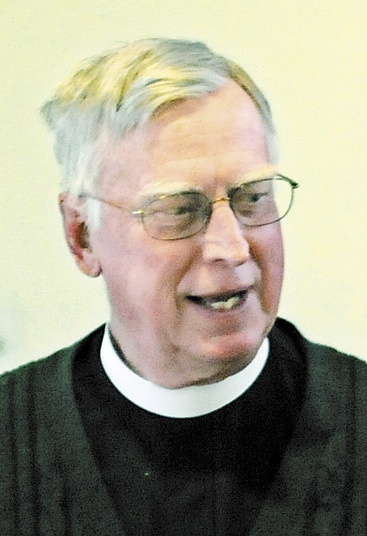 Foote retired as dean of Cathedral of St. Luke in Portland in 2003, and since January had been a transition priest at St. Mark’s Episcopal Church in Augusta. He was put on administrative leave by the Episcopal Diocese of Maine shortly after he was charged. He also has filled in at St. Mark’s Episcopal Church in Waterville, according to the Right Rev. Stephen T. Lane, the diocese’ bishop.